The contractor is usually the first point of call when damages arise out of a product or building material failure. In addition to the statutory warranties provided for under Queensland Building & Construction Commission (QBCC) legislation, the supplier of goods and services, building contractors are also bound by Australian consumer law. In the case of product failure, under these warranties, a consumer is likely to be entitled to a refund or replacement from their supplier of those goods; the contractor. A consumer may also be entitled to compensation for consequential loss if they suffer additional losses as a result of the goods or services failing. Contractors aren’t provided with a similar protection back to their own suppliers. Where they aren’t the end user of the product they’re not regarded as a ‘consumer’ under the law and therefore not covered. Consumer protection law does require a manufacturer to indemnify a supplier who incurs costs as a result of goods not meeting a statutory warranty and the supplier may initiate court action to recover any costs. In the case of imported goods the importer is deemed to be the manufacturer. Similarly, there are warranties included in construction contracts which extend to the products and building materials supplied under the contract. Often these warranties require rectification of defects by the contractor signatory to the contract. The contractors may have similar recourse to their own supplier depending on the details of the sale contract but this would have to be pursued independently. Read the fine print on the sale contract carefully as many suppliers are now including clauses to limit their liability here. Insurance policies vary, and generally, construction works policies won't pay the costs of rectifying or replacing defective works or materials. Public and products liability policies normally require that all reasonable precautions be taken to prevent personal injury or property damage, and generally will exclude coverage for claims arising from known defects in your works. We suggest you discuss this with your insurer. Come across a non-conforming product? Get in contact with us via email or call (07) 3225 6419. 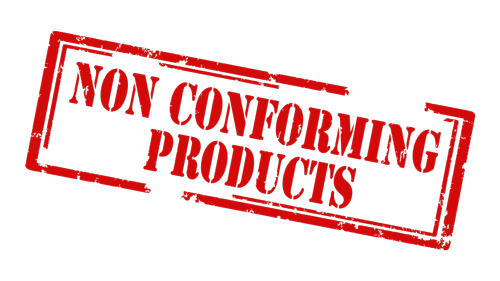 You can also report a suspected non-conforming product to the QBCC's Product Committee via email.